This mens Emporio Armani model has a bold salmon-coloured dial, with elegant baton hour markers and a date function, set in a stainless steel case with a chunky side button. 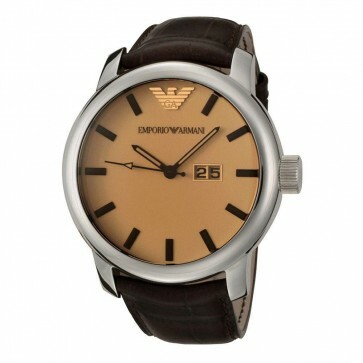 The watch has a leather strap and comes with an Emporio Armani presentation box. This mens Emporio Armani model has a bold salmon-coloured dial, with elegant baton hour markers and a date function, set in a stainless steel case with a chunky side button. 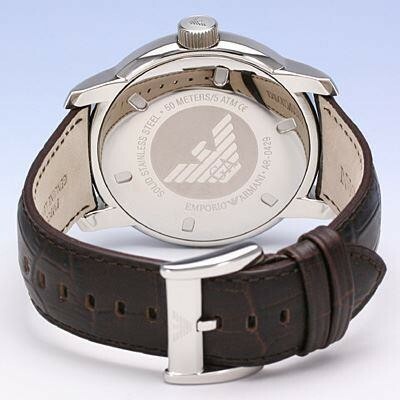 The watch has a leather strap and comes with an Emporio Armani presentation box.